Our wonderful secretarial staff is waiting to assist you 24 hours a day, 7 days a week to plan a service call that works for your individual schedule. With a fully stocked service truck we are able to handle and repair the majority of your appliance needs on the spot! 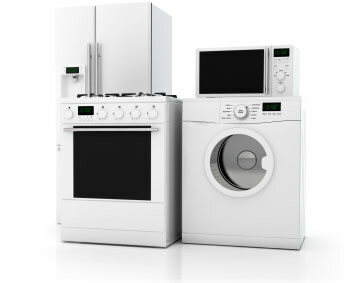 In the rare case that a part needs to be ordered for your appliance, it will be our number one priority to get the part shipped as soon as possible and you will not be charged an additional service fee for us to return to your household. Great service, reasonable pricing, and very helpful suggestions regarding the upkeep and preventative care of other appliances, beyond the problem refrigerator which initiated the call. Steve came on a Sunday, but there was no extra charge because it was the weekend. His rates are the same, Mon thru Sun. He came the same day we called him, which is amazing in this day and age when so many business owners don't even bother to return a call. "Two thumbs Up". I have already recommended M'Head Appliances by word of mouth to my friends. Marblehead Appliance is simply the best! Steve is very skilled and knowledgeable and will not overcharge. He was able to diagnose the root cause of my refrigerator problems very quickly, ordered the part and came back in two days with the fix. An easy fix for Steve but not so for the manufacturer's recommended repair company who came out three times and never fixed the problem. Highly recommend.